Discovery Day will take place at the Nature Museum Saturday. 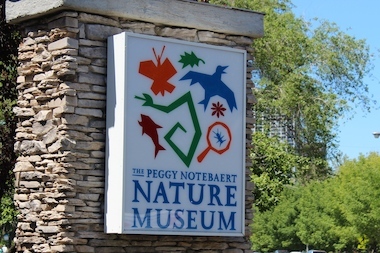 CHICAGO — The Peggy Notebaert Nature Museum's first-ever Discovery Day will feel like the TV show "Antiques Roadshow" — but with a scientific twist. Bring in a specimen — "your favorite rock, a prized leaf that you collected as a child, or just an object you noticed recently" — to have it identified by experts at the Nature Museum. The event goes from 11 a.m. to 1 p.m. Saturday at the museum at 2430 N. Cannon Drive in Lincoln Park. There is free admission to the museum for anyone who brings a specimen.